Scott Reeves was nominated at the Dec. 3rd meet to be the new President. Brandon Bartee discussed Health Care Insurance in general and coverage available for Chamber of Commerce member businesses (Community Care) in particular. New Chamber Vice President Robert Miller conducted the first meeting of 2016 in place of President Scott Reeves who could not attend. 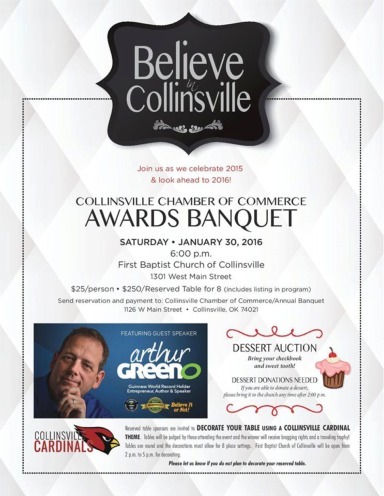 Representative Earl Sears told the Collinsville chamber gathering that he planned to refile in April 2016 to continue serving this district and would also be seeking the speaker of the house position. 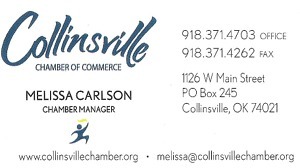 He reminded the chamber he would be unable to attend the Collinsville meetings (with the legislative session starting again in February) until he hosts the luncheon in June.